The release of the new ‘Quad launcher’ has raised some eyebrows and has made me think what plans do they have for the roster of weapons within the game. However, the last time a similar weapon was introduced (the heavy sniper) a number of the bolt sniper variants were altered or vaulted, however, this has not happened this time around. Many players of Fortnite are already a little salty with the amount of ‘cheesy’ weapons in the game, explosives being a big part of that. 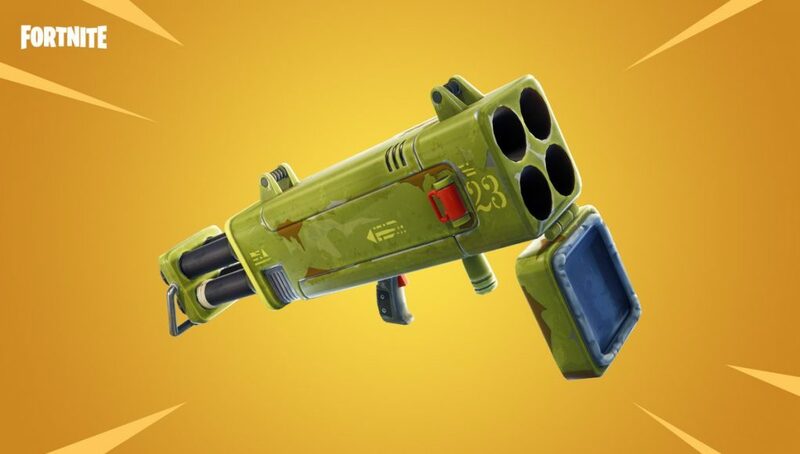 Currently, we now have six explosive weapons: RPG, Grenade launcher, Homing missile, Grenades, Clingers and now, the Quad launcher. Definitely, some weapons need to go and on that note, I thought I would give my opinion on the whole current roster and what should be done with them. Until then I thought I would give my opinion on the current roster and what should be done with them. Grappler – VAULTED – cheesiest gadget I have ever seen in the game. It’s too unexpected and in the hands of a PC player in a cross-player game, it is very difficult to counter. Pump Shotgun – BUFF – give this gun the headshot multiplier it deserves and for the love of god make the pellet metric more reliable. Tactical shotgun – NO CHANGE – the tactical is what is it, it’s fire rate and damage are well balanced here. Heavy Shotgun – NO CHANGE – again, I find it’s damage, rarity and accuracy a nice legendary weapon to find towards the end of a game. Double Barrel – VAULT – this variant offers no skill to use and offers it’s user a potential 240 damage if both shots are made, get rid. Grenade launcher – VAULT – Don’t get me wrong I love spamming someone who’s a better builder than me too but when you have two players in a squad with these the win just requires zero skill and the explode radius is devastating. In light of the new Quad launcher, these non-skilled based weapons can go. 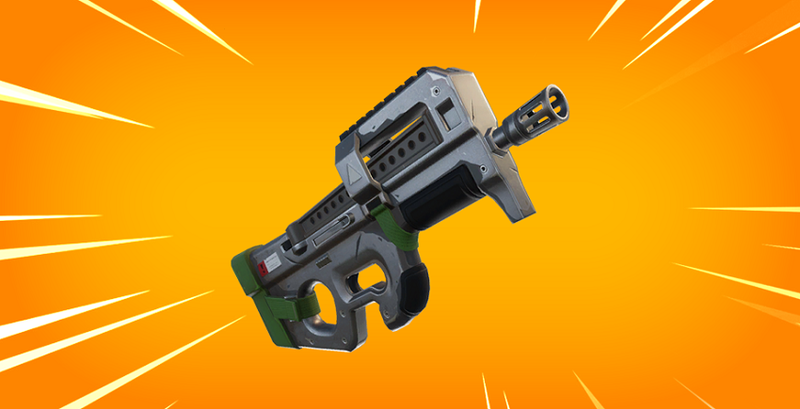 Guided missile – VAULT – if you buff it the gun is over-powered as we saw when was it released, without that damage and speed it’s just not used except by total noobs. Quad Launcher- VAULT – before it even comes out… EPIC, no! JUST NO! Submachine gun – NO CHANGE – well balanced due to its clip size, bullet drop off and spread over a distance. Compact gun – NO CHANGE – I used to hate this gun with a passion but after its accuracy and clip reduction I have no major qualms with it except maybe up its rarity? Silence pistol – BUFF – actually close to saying vault this weapon as apart from landing and grabbing any gun, this weapon is rarely used. But having said that I think there is a place for a silenced weapon in the game so make it more viable. Minigun – NO CHANGE – the load up to get the gun going and the amount of body exposed to use it over cover means only the cheesiest of people use this gun but at times it serves a purpose. Just annoying when you die to it. Assault rifle M4 – NO CHANGE – they have this one sussed. SCAR – NO CHANGE – except maybe make it rarer to find, I love the SCAR and the feel of it. SCAR Silenced – NO CHANGE – surprisingly I actually love this variant more than the original, it’s perhaps maybe a little over-powered but as I said previously silenced guns deserve a place on the island. Scoped AR – BUFF – the weapon offers a nice middle ground between assault rifles and snipers but its time to kill is terrible, you have to spend way too much time out of cover to use it and you’re head will be popped way before you get your kill. Thermal Scoped AR – VAULT – its easy scouting for players may have sounded like a fun idea but the fact is no one really uses this unless they can’t aim. I’d prefer something else in its place. Dual Pistols – NO CHANGE – another great example of a nicely well-balanced gun, really these bad boys go up against the shotguns and SMG weapons but they’re slow and deadly, with some accuracy these are deadly but that’s what makes them a skilled weapon. Semi-auto – VAULT – no one uses this unless they can’t find anything else and even then I rarely carry it when a weapon doesn’t really stand up in its class just get rid of it. Bolt – NO CHANGE – does what it says on the tin, great weapon, well balanced. Heavy sniper – NO CHANGE – except rarity which is kind of a nerf I guess but not, I thought I was going to hate this weapon but its fit in well with how games are played out. With its long reload time anyone who’s a sniper pro has the weakness of getting pushed. I hope you all agree with my suggestions and if you don’t, that’s cool too – we all have guns we love or hate and a great debate is always fun to have. See you on the island everyone! Go subscribe to my YouTube channel and if you want to know everything there is to know about Season 7 click here!